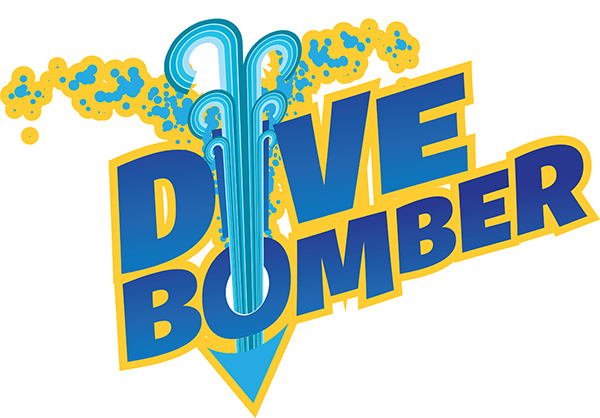 On Monday Six Flags White Water debuted their newest attraction the Dive Bomber. The Dive Bomber is a 10 story slide with a 90 degree drop. This makes it the largest water park slide. The tower of this slide is 100 feet above the park’s lush tree line. When visitors ride the Dive Bomber they are enclosed in a capsule and dropped through a trapdoor that gives them the experience of zero gravity. When they go down the slide they can go down at speeds of 40 miles per hour. This ride promises to give you the experience of a life time like the other rides in the park such as the Typhoon Twister. I have not yet had a chance to experience this ride but I plan on taking my family so we can soon. I can’t wait to experience it. It definitely looks like a great ride for anyone who is looking for a fun experience and thrills. Six Flags White Water will be open daily until August 2nd and then on weekends until September 13th. 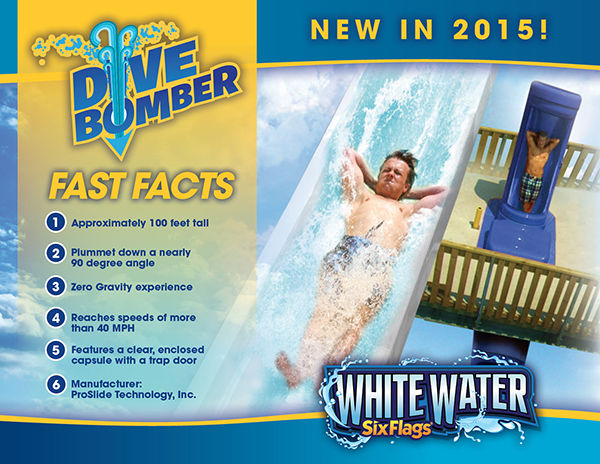 Are you headed to Six Flags White Water to ride the new Dive Bomber?